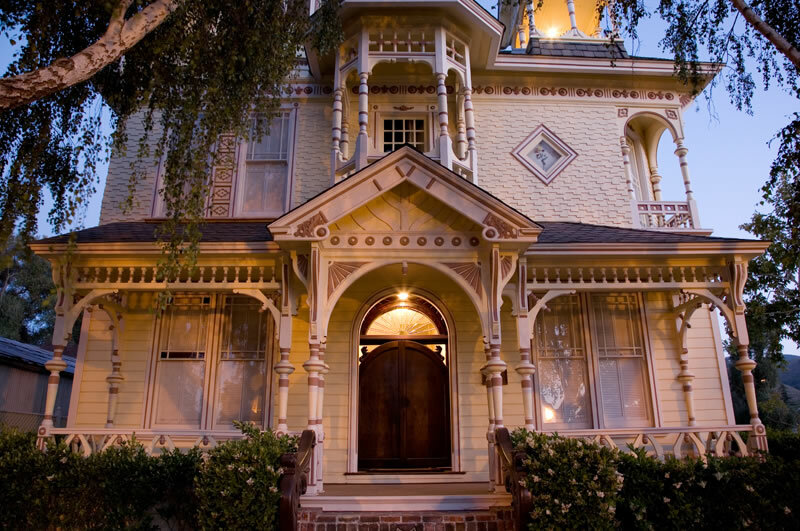 On the outside, the Victorian Mansion is a gorgeous, recently-renovated 1864 Victorian nestled in the heart of wine country. On the inside, it houses six incredible theme suites featuring theme beds, in-room hot tubs, fireplaces and hidden bathrooms. Music, fragrance, hand painted murals and tiles, movies and furniture will immerse you in the fantasy of your choice - will you stay in a sheik's tent? A 50's drive-in? A pirate ship? A gypsy caravan? Fantasy does not come at the expense of luxury or taste. Each room features impeccable decor and premium mattresses, sheets, towels and bathrobes. With our standard rates, a hot, gourmet breakfast is delivered to your suite every morning. Come visit us in the heart of the wine country made famous by the movie, Sideways - only a short drive from Los Angeles or San Francisco through some of the most breathtaking scenery in the U.S. Get ready for an unforgettable experience!